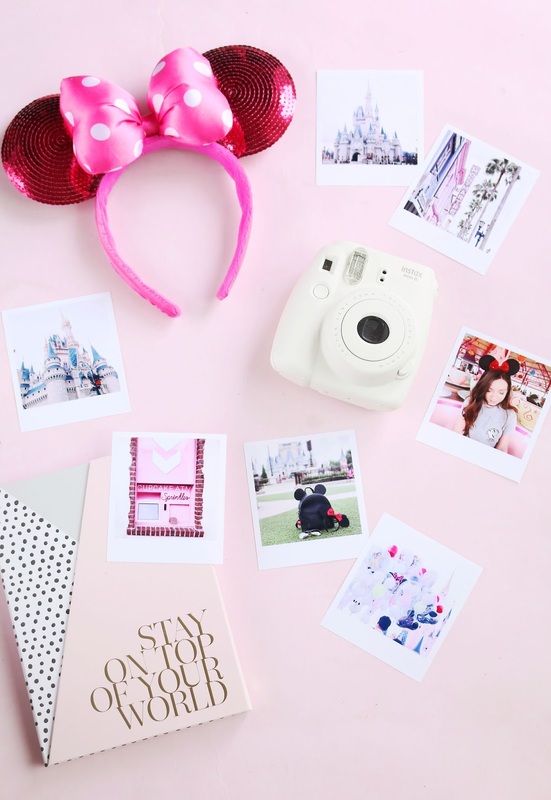 The one thing that I was most excited about when I booked our recent holiday to Orlando was my Instagram feed. Yes I am that basic, and obsessed with my Instagram, come on guys you should know this by now 😉 so anyways, if you’ve never been to Orlando before, or visited Walt Disney World or Universal Orlando Resort before, you may not know that they are two of the most Instagrammable places in the whole world. Okay slight over exaggeration there, but seriously these two places have so many photo ops that your Instagram feed will be on point. Or if you know, if you’re not as basic as me, you’ll just have some nice photos to look back on. Anyways, today I thought I’d compile a little list of my fave places to take photos within the two parks, it’ll save you time hunting them down if you’re visiting soon, and I’ve also linked some of my fave accounts for photo inspiration. WDW is of course one of the happiest places on earth, and one of the reasons for that is because it’s so aesthetically pleasing. All of the six parks are incredibly Instagram friendly due to the amazing theming. Every corner presents a new Instagram opportunity, but these are my faves. Getting into the park as early as possible, as any photo looks better when there’s less crowds around. Kinda makes it look like you’ve got the park to yourself, if it’s already busy or you can’t get there super early, then just try and take photos when there’s gaps within the crowd. Watching the sunset over the castle is literally one of my fave things to do, and the mixture of a pink toned sky with the castle gives me all the heart eyes. If you go to the left at Casey’s corner, and then in front of The Crystal Palace restaurant, you’ll find some grass areas which are always pretty quiet. These are perfect for photos in front of the castle as it’s usually really quiet and the castle looks amazing in the background. It’s also a lovely place to just sit as it’s really peaceful and has one of the best views ever. 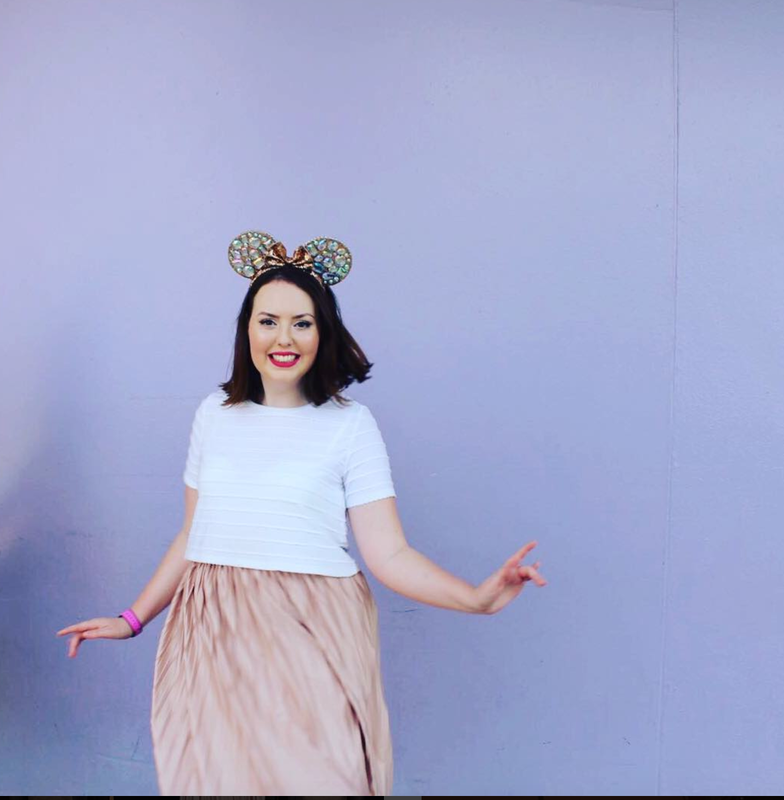 The famous purple wall which is located just as you walk into Tomorrowland at Magic Kingdom is perfect for outfit photos. It’s a basic purple wall but looks great in any feed. The wall is so infamous that it even has it’s own Instagram account so make sure you tag them in your photos! 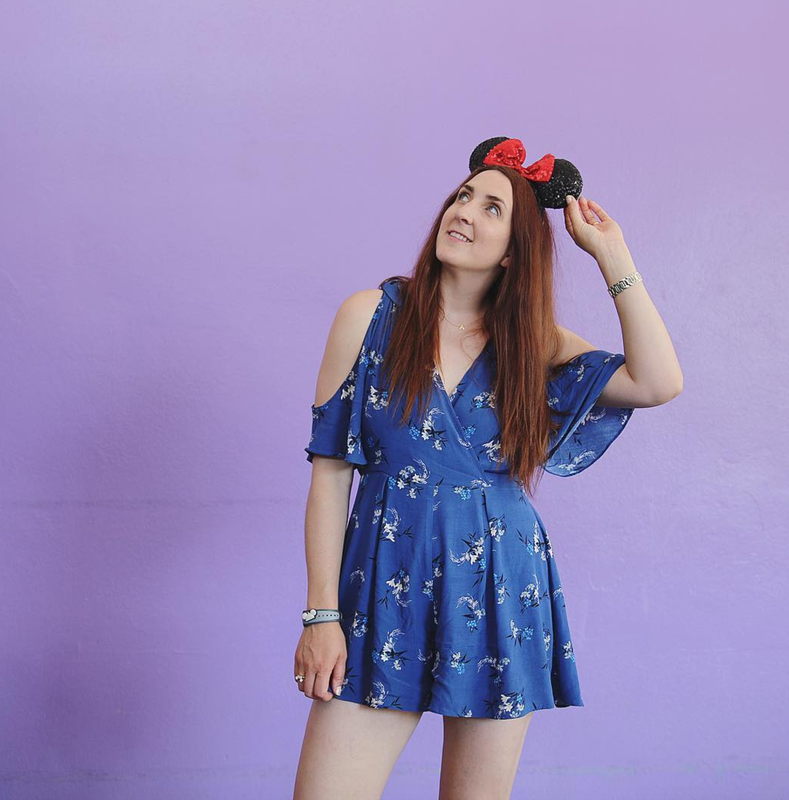 I don’t know why, but I didn’t end up taking a photo by the purple wall so I’ve kindly asked Ellie and Steph if I could you show their purple wall photos so you can see how perfect it is for outfit photos! Everyone loves a carousel right? The carousel situated in Fantasyland at Magic Kingdom is pretty magical. It’s again one of those things that doesn’t look bad in a photo, and looks amazing if you take a photo on it. 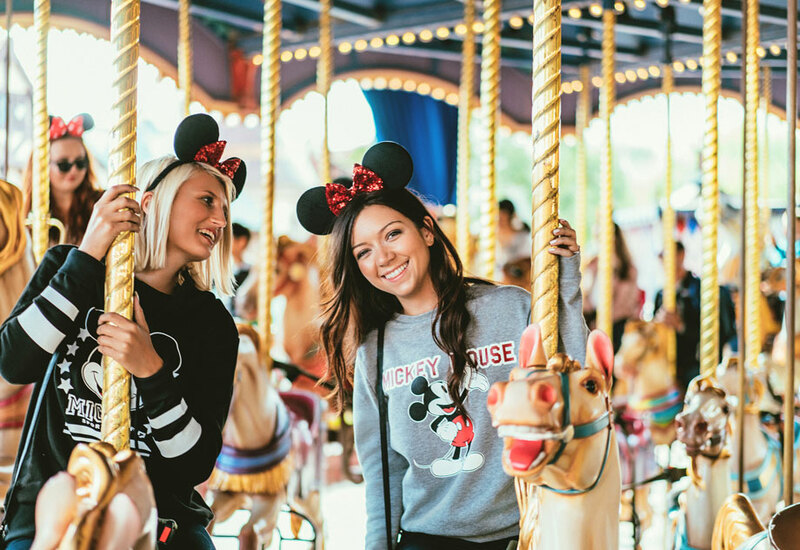 Below I’ve shown the photos that we had taken on the carousel at Disneyland Paris with Primark so you can see what I’m going on about, the carousels are V similar! If Beauty & The Beast is one of your favourite Disney films like it is to me, you will be slightly fangirling over the Beauty & The Beast themed area of Fantasyland at Magic Kingdom. Although it’s a pretty small replica of The Beast’s castle, the entrance to the Be My Guest restaurant is still pretty spectacular. Standing on the bridge overlooking the castle is a perfect shot for any Belle or Beast wannabe. Ah the teacups, you either love them or hate them. If like me you love them, they are the perfect place for a cute Instagram pic. The colours of the teacups are so pretty, however little word of warning, don’t do what I did and spin the teacup too hard as poor Henry looked very green after spinning and taking photos of me. Whoops! Instagram fiance of the year I think! If I had to describe the kind of place that my dream street looked like, it would be Main Street in Magic Kingdom. From the pastel coloured buildings, to the sweet scent and the uplifting music that plays as you walk down the street, it’s just perfect. Every building is gorgeous, and this is where you can get some amazing photos. Either standing on the road and in front of the castle, the pastel coloured buildings, or taking a pic of the balloons (which has to be done!) I wasn’t brave enough to ask one of the cast members selling balloons if they’d mind me having a photo in the balloons, but maybe be brave, because that photo would look AMAZING! Yes I’ve moved on from Magic Kingdom aka the most Instagrammable place ever, and we’re now going to go to Epcot. Although the Epcot golf ball is the obvious place for Instagram shots, you have to take a pic at The Bubblegum Wall. Another pastel coloured wall, which is amazing for outfit pics and again has it’s own Instagram page. There’s two bubblegum walls, one at the entrance for Spaceship Earth (the ride inside the big golf ball) and the exit for the same ride. The entrance looked quieter to me as it was just off the side, whilst the exit was quite busy, we had to keep pausing to let people come out of the ride and then take pics again. But I think we can all agree, with a pink coloured wall, it’s worth looking a little silly to get the perfect photo! Moving onto Hollywood Studios now, which again is very insatgrammable. This park is more themed around Hollywood (funnily enough) so is perfect for getting that LA vibe for your pics. My fave place for photos though is along Sunset Boulevard with Tower of Terror in the background. The lighting is usually perfect, all of the buildings are gorgeous and yeah it just makes a great place for photos! My final Disney Instagram spot, is the Sprinkles cupcake ATM at Disney Springs. Yes that’s right a cupcake ATM, the dream! This was one of my must see’s when we visited as I’ve always wanted to visit/take a photo of a Sprinkles ATM. It’s situated next to Pandora Jewellery and is just over a walkway over the water. It’s pretty easy to find though on the map. The ATM will probably be filled with other people like me taking photos for Instagram, so just a little warning! The cupcakes were amazing though, even if they cost a small fortune, totally worth it for the Instagram photo! Now we move onto Universal Orlando Resort, which again is full of places for photos. 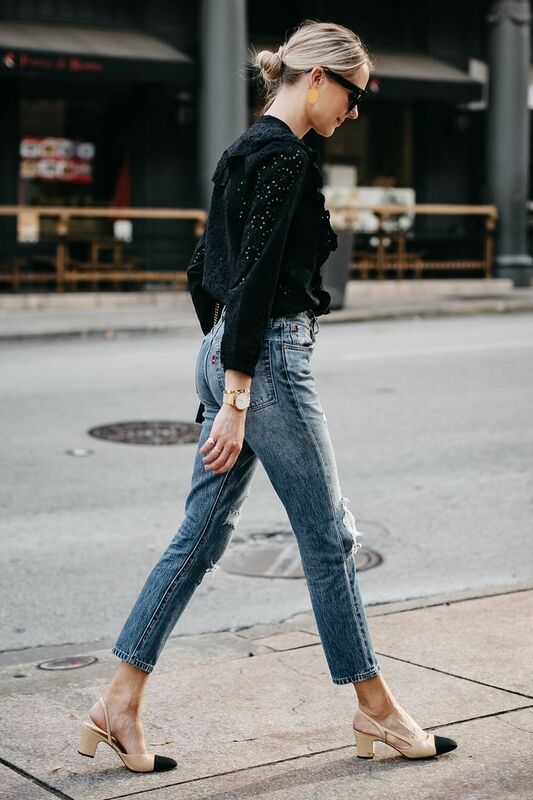 The streets of Hollywood are again perfect for that LA vibe. Full of pastel coloured buildings, they are perfect if like me, you’re a little obsessed with pink buildings. It’s usually pretty quiet too, so it’s easy to get a good photo. I found a really cute pink building which is just opposite Mel’s Diner and is by the gates where staff come in and out of the park. This was a really quiet area so perfect for taking outfit photos. This diner is at the end of the Hollywood section of Universal Studios, and the reason why I love it so much? The colours! It’s perfect for either a photo in front of, or in the background as I’ve done below. The cars in front are also pretty cool for photos! There are two parts to The Wizarding World Of Harry Potter ; Diagon Alley and Hogsmeade. First of all, we’ll start with Diagon Alley and my fave places for photos. Standing on Diagon Alley with the dragon behind you is a pretty cool shot, although we did struggle a little with the lighting as it was quite dark, but on a bright day, this would make a cool pic. There’s also Sugarplums sweet shop, a pink building, which also looks really cute. I also loved Grimmuald Place, that’s perfect for outfit photos. So moving onto the other Harry Potter park; Hogsmeade. Hogsmeade is of course the perfect for place for pics, although it is always pretty busy. The bridge overlooking Hogwarts is a quieter place to take photos but still gives you a good view of Hogwarts! To be honest with you, every part of the two Wizarding World of Harry Potter parks are Instagrammable! I found this coloured wall by chance when looking for somewhere to take an outfit picture in the Toon Lagoon section in Islands of Adventure. This pastel coloured wall is at the entrance to the Dudley Do- Right’s Ripsaw Falls ride, and I’d recommend taking a photo before you go on either this ride, or Popeye’s and Bluto’s Bilge- Rat Barges, because you will get drenched. Trust me. Also cheeky self promo, but you can catch up with all of my Instagram pics here.